EDINBURGH, Scotland, 2018-Feb-20 — /Travel PR News/ — As Chinese New Year starts, Edinburgh has extra cause for celebration as a social media campaign developed to bring Chinese visitors to the city has been declared an incredible success by VisitScotland. The campaign is part of the city’s China-Ready initiative – launched by ETAG in 2015 and supported by Scottish Enterprise – which has seen over 200 hotels, visitor attractions, universities, festivals and retailers across the city engage with cultural awareness workshops, guides and meetings aimed at increasing Chinese visitor numbers and developing the city’s position as a China friendly destination. 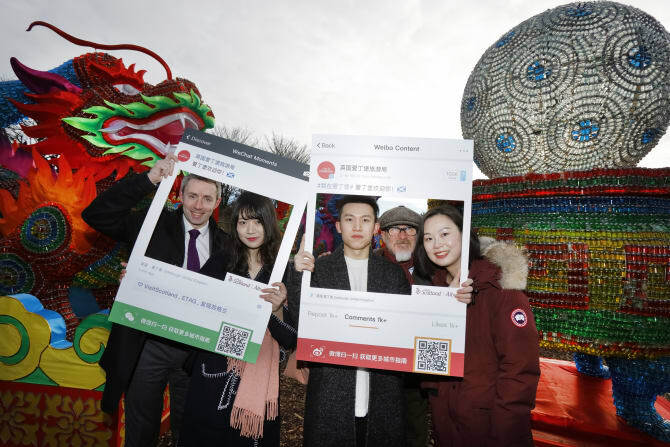 This entry was posted in Business, Entertainment, Tourism, Travel, Travel Marketing, Travelers and tagged Danny Cusick, Edinburgh Chinese Social Media Campaign, Graham Kelly, Rob Lang, success, VisitScotland. Bookmark the permalink.